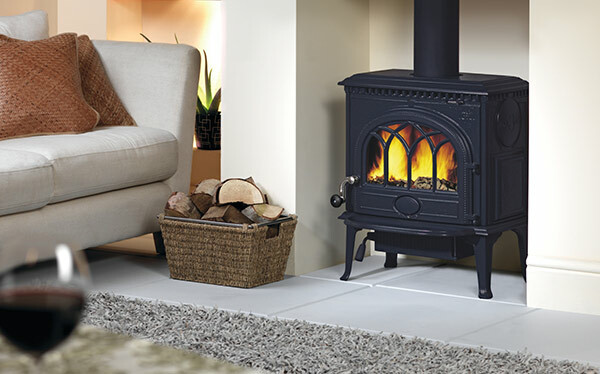 Log burner, multi-fuel stove, wood pellet stove – we talk you through the differences between the three main types of stove to help you to choose the right one for your home. Most people think of burning wood in a stove, but if you have a multi-fuel stove you can also burn other fuels such as coal. When we surveyed stove owners*, 59% said they have a wood-burning stove, and 41% have a multi-fuel stove. 59%of stove owners have a wood burning stove. 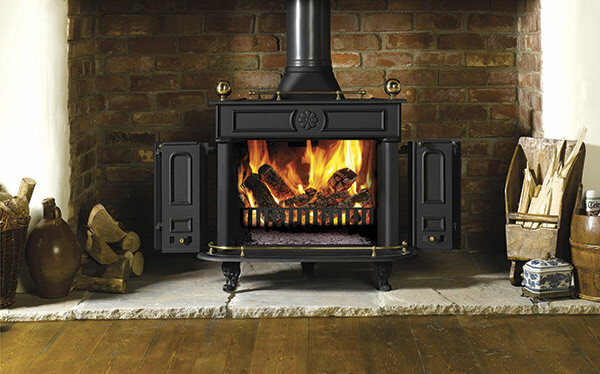 Click on the links below to head down to the type of stove you want to know more about and flick through our gallery for ideas. Once you're ready to go ahead and buy, visit our page on buying a stove to see our full advice guide and to download our handy checklist. It includes information on the key factors you need to consider when buying a stove, important installation advice and tips on using it. There are a huge range of stove brands, such as Stovax, Clearview, Moroso, Charnwood and Jotul, and a variety of and designs. Here are some of the types, styles and brands of stoves available, from modern pellet stoves to traditional wood-burning stoves. A wood burning stove can be a lovely focal point in a living room, and wood logs create a traditional feel. Multi-fuel stoves can burn coal, wood and other smokeless fuels, and look much like log burners. 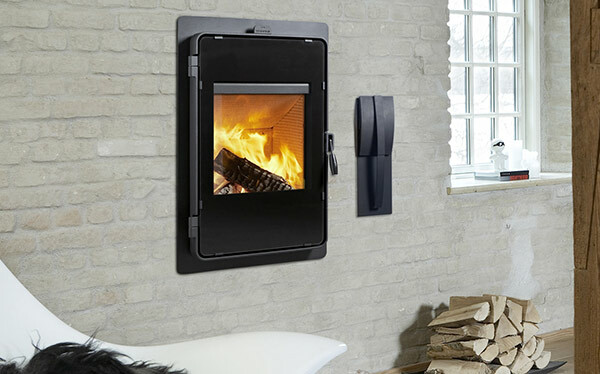 Pellet stoves tend to be larger and more modern looking than wood burning and multi-fuel stoves. 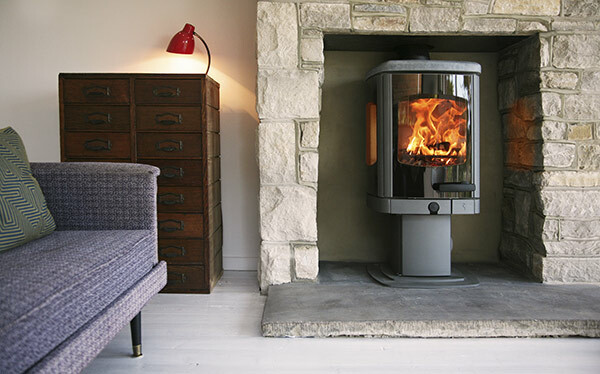 If a modern look is what you want but you still want to burn logs, there are a lot of contemporary stove options. You can buy decorative and grand multi-fuel and wood burning stoves, as well as simple ones. Some stoves can be wall mounted or even inserted into the wall for a streamlined, modern look. Some stoves include storage space for fuel, particularly logs, or even the ability to cook on the stove. Multi-fuel stoves are also called mineral-fuel stoves. They can burn wood, smokeless fuel and coal. There are differences in the way these fuels burn, and not all multi-fuel stoves are optimised for burning all compatible fuels with equal efficiency. To burn efficiently, coal needs air to reach it from below. Multi-fuel stoves have a grate for the fuel to sit on, making them ideal for coal. Some also have a riddling plate that allows you to remove any ash that's built up, letting more air through from underneath. Wood, on the other hand, burns best when sitting on a bed of ash (also called a firebox, which is where the fuel burns), with air circulating from the top. Because of these differences, a multi-fuel stove may not be optimised for burning both types of fuel. Ideally, it’s best to work out what type of fuel you want to burn and what you have access to first, and then base your buying decision on that. The Stove Industry Alliance (SIA) found that 77% of people that have a multi-fuel stove only burn wood. But if you are planning on only ever burning wood, getting a dedicated log burner is advisable. However, if you think you may not have regular access to wood, or are keen to have the flexibility to burn both, then a multi-fuel stove is a good option. If this is the case, look out for a multi-fuel stove that has primary and secondary (sometimes called airwash) air vents. These allow you to control whether more air circulates from above or below, depending on the type of fuel. Also look for a stove that will allow you to remove the grate, so wood can be burnt on the base of the stove, instead of the grate. If you have a multi-fuel stove and live in a smoke-controlled area, you will only be able to burn smokeless fuel - such as anthracite coal. For more information on what you need to consider when buying a stove, take a look at our expert advice on how to buy a stove. Also called wood-fuel stoves, wood-burning stoves run solely on wood logs, pellets or chips (although chips are really only used for large buildings, such as community centres). There are two types of wood-burning stoves: log burners and pellet stoves. Log burners (or wood burners) are the most popular, and usually used as stand-alone room heaters for one room. Pellet stoves are more commonly used to heat entire houses. They're also usually larger and more modern looking. 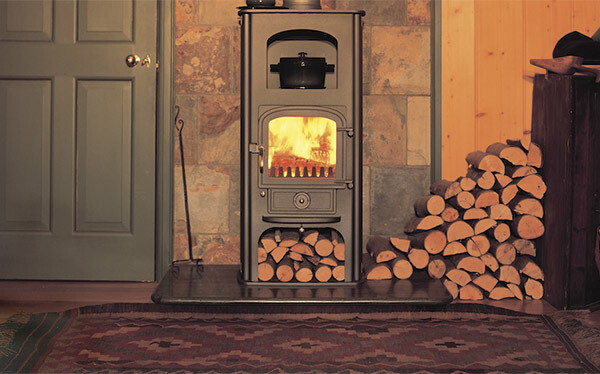 If you're buying a stove to be more eco-friendly, wood is a carbon-neutral fuel. Unlike coal, where the processing of it will have an impact on the environment. There's also a lot less manufacturing involved in logs than there is with pellets and chips - or indeed none if you collect already fallen wood yourself. However, you'll need to factor in either drying time or cost. The cheapest fuel for your log burner is wood that you have collected or bought that still has a high moisture content. But to make it burn efficiently and safely, you will need to leave it to dry out - ideally for around one to two years. Which means you will also need the space. Alternatively, you can buy ready-dried wood, but this will cost a lot more. If you live in a smoke-controlled area, you will need a Defra-exempt stove to burn wood. For more information on sourcing wood, drying it yourself and prices, as well as our videos on lighting wood and multi-fuel stoves, see our guide to using a stove. Wood pellet stoves can look quite different to log burners and tend to cost a lot more. They use pellets made from wood by-products, such as sawdust or other organic materials like corn, which are tightly compacted together. Check which type of pellets the stove can burn before you buy. Many wood pellet stoves have a ‘hopper’, which feeds the pellets into the stove so it needs filling less frequently. Many also have an automatic ignition to light the pellets electronically, a timer for turning the stove on and off, and a back-up power supply in case there is a power failure - something worth looking out for. Need to be maintained more regularly than a log stove - wood pellet stoves need to be serviced as well as having twice yearly chimney sweeps. Find out more about the installation and running costs of stoves by taking a look at our guide to stove costs and savings. You can also use our handy tool to help you find out whether a stove might save you money on your heating bills. It's also worth looking at our stove installation page, which includes a video guide to a typical installation, so you know what's involved. It also includes vital safety information and building regulations you need to be aware of before you go ahead and buy. If you've read about the effects of stoves on air pollution and are concerned, take a look at our dedicated page to stoves and pollution.